All brides and grooms hope for a memorable wedding that reflects their own personal identities and tastes. While flowers and arches add a touch of elegance to an indoor ceremony, the building’s design sets the mood for the nuptials. Likewise, the natural beauty of a garden gives character to an outdoor wedding. Then the formalities soften, and the festivities begin. Although most couples spend a great deal of money on food and drinks, the reception hall is actually the essence of the party. The importance of the wedding venue often draws couples in Coral Gables to the Club of Knights. This facility in Florida’s tropical setting is a favorite among locals and visitors from surrounding areas. It is ideal for both sizable and intimate gatherings whether the style is modern or nostalgic. Between the beauty of the premises and the professional nature of the staff, this private club is one of the very best Coral Gables wedding venues. Couples use the Club of Knights to host their ceremonies and receptions for a number of reasons ranging from personal appeal to convenience and cost. This lovely venue has been completely renovated to provide a fresh, polished atmosphere for events of every type. Weddings are particularly luxurious whether they are held inside the historically-designed ballroom or outside in the enchanting courtyard. With elaborate decorations, the facility is suitable for upscale functions. Likewise, the surroundings can be simplified without any loss of elegance. A full bar invites guests in for cocktails while a well-equipped kitchen makes the caterer’s job easy if you chose your own. But we offer five-star catering prepared by our executive chef, René Alejandro. With the new wood flooring and sound system, the bridal party can have a fun night of dancing with their friends. Meanwhile, an upgrade in lighting accentuates the building’s dazzling chandeliers. Residents of the Miami area have easy access to the Club of Knights. It is centrally located between in the heart of Coral Gables. It’s only a short drive for local guests to reach this deluxe venue which adds a certain ease and convenience. Out-of-towners can stay at one of the many nearby hotels or rental properties where they are close to a variety of restaurants and shopping centers. Jittery brides and grooms find comfort in the excellent service that they receive from the staff at the Club of Knights. No detail is left undone when the facility’s team is in charge. Before they begin the preparations, the hosts ensure that they understand the plan for set-up. Whether arranging flowers or decorating tables, the crew leaves the nervous couple no cause for concern. The wedding party enjoys the freedom to relax as they anticipate the long-awaited event. Coral Gables weddings and receptions that are held at the Club of Knights prove to be cost effective. Couples will be thrilled to pay our reasonable prices, while enjoying this beautiful setting and first-rate service. 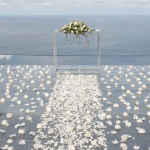 Wedding packages include the price of the venue, ceremony, and reception. When a separate venue is selected for the reception, the total wedding expense is generally increased. The use of one delightful venue for both components keeps the cost within budget. If the chosen facility is the Club of Knights, then quality is not sacrificed in exchange for affordability. 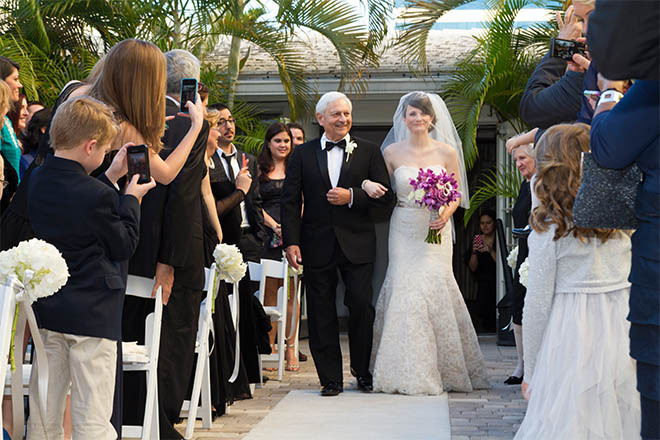 Among Coral Gables wedding venues, the Club of Knights stands out for its sophistication. The venue has been designed specifically with weddings in mind, and guests can tell that the staff specializes in such affairs. For an unforgettable ceremony and reception, this location is exemplary.